This young Stallion is so worth getting up for each day. Lamees is breathtaking to watch and such a pleasure to be around. We are anxiously awaiting his first foal for us in 2015. 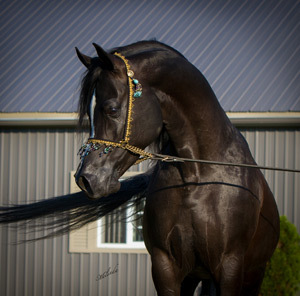 Lamees will be available for stud in 2015. Tahleel is absolutely an "Evolution of Beauty." Sired by the breath taking Ansata Nile Echo, Tahleel is one of only 2 Stallions bred and registered in North America to date by Ansata Nile Echo and the only one in Canada. His pedigree alone is amazing, with some of the most influential horses all through it. Ansata Hejazi, Ansata Halim Shah, Ansata Ibn Halima, Prince Fa Moniet (on both sides), Ansata Iemhotep, just to name a few. Tahleel is a wonderful extention of his sire and dam and we look forward to having this young Stallion in our breeding program in the future. 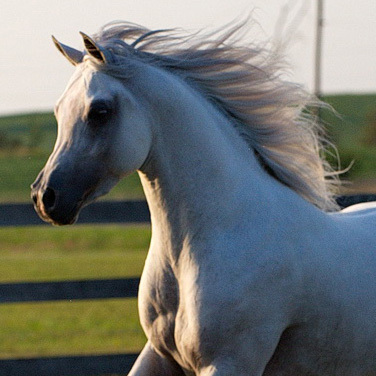 Tahleel is standing at stud at Jeffries Arabian Center in Texas for the 2016 breeding season. His first foals arrived this year and we could not be happier with them all. Tahleel passed on that incredible long neck and a beautiful clean throat latch, big hips, chest, great legs and especially the movement, to all his foals that his sire and dam's lines are known for. We are excited to see this years crop. Tahleel is nominated for the EBC with the Pyramid Society. We at Lone Tamarak are thrilled to have had the pleasure of leasing this stunning young stallion. Skalah is an outstanding representative of his prominent ancestors and the Saklawi Strain. He has an ultra refind face with a short muzzle, deep dish and large black eyes. Skalah is loaded with type and movement. We were confident that Skalah would pass these traits on to his foals and that he did! In 2012 we welcomed a beautiful filly Mahassen x Amal Al Sahra. 2013 brought us 3 exceptional foals. Two breathtaking fillies, one by Honest and True and another by Goharah. 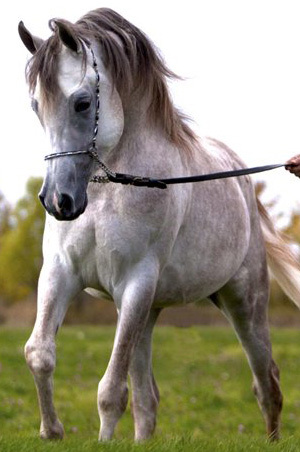 Amal Al Sahra gave us a stunning grey colt! Skalah will be returning to his home with Furisio Bloodstock in the fall. We can not thank Raymond Mazzei enough for trusting us with this incredible stallion.